Hinduism is the third largest religion in the world with over 1.1 billion followers with most living in India and Nepal. In the United States, Hindus represent 1% of the US population with over 3 million followers living across the country. For those attending a Hindu funeral, it can be useful and even important to know about Hindu traditions, Hindu funeral customs, and Hindu beliefs after death, so as to pay respects in a thoughtful, yet respectful, way. In the hopes of helping both practitioners of Hinduism and non-Hindu guests alike, we’ve gathered answers to some of the most frequently asked questions about Hinduism and Hindu funerals. What do Hindu people believe? Hinduism is technically not an organized religion, and doesn’t have a single set of prescribed rules like the Judeo-Christian Ten Commandments. The practice of Hinduism depends on the country, city, and community wherein it is practiced. That being said, common values and beliefs are shared across Hindu believers, starting with the belief in a single God, Brahman, who is omnipotent, omnipresent, and formless. Brahman is said to represent everything in the universe, both seen and unseen. Additionally, the Vedas are Hindu scriptures that were composed in Vedic Sanskrit and are the oldest texts of Hinduism. It is said that the Vedas have no beginning and no end, and will persist throughout eternity, through cycles of time. The concept of dharma is core to Hinduism. While no direct translation exists in English, dharma represents a code of conduct that all should aspire to practice regularly so as to live by the right path. Characteristics of dharma include righteousness, morality, empathy, and self-improvement. What do Hindu people believe happens after death? In Hinduism, the soul (atman) is believed to be immortal. The soul is neither created nor destroyed, but persists eternally and undergoes the process of transmigration from one body to another after death. The concept of karma is used in both Hinduism and Buddhism to describe the belief that all actions in one life are of consequence to the body in the soul’s next life. Thus karma is described as an accumulation of consequences, either inflicted on or gifted to, the body from the accumulation of actions from previous lives. The ultimate goal for Hindu believers is to break the cycle of reincarnation so that the soul may be freed and become one with the Supreme Soul. Once liberated, the soul achieves moksha and joins the divine entity. How soon after a death does a Hindu funeral take place? Traditionally, almost all Hindus choose to be cremated within a day of the death, except for young children and saints. The reason Hindus prefer cremation is due to the belief in karma, whereby the soul (atman) lives eternally after the death of the body. Thus Hindus do not require the preservation of the body, which is borrowed for a single life while the soul moves on, detaching itself from the material body. Additionally, it is believed that cremation absolves the deceased of negative karma, which saints don't have and children don't have yet and therefore are not to be cremated. After four days from the cremation, the ashes are commonly dispersed in a sacred body of water or other place of importance to the deceased or their family. 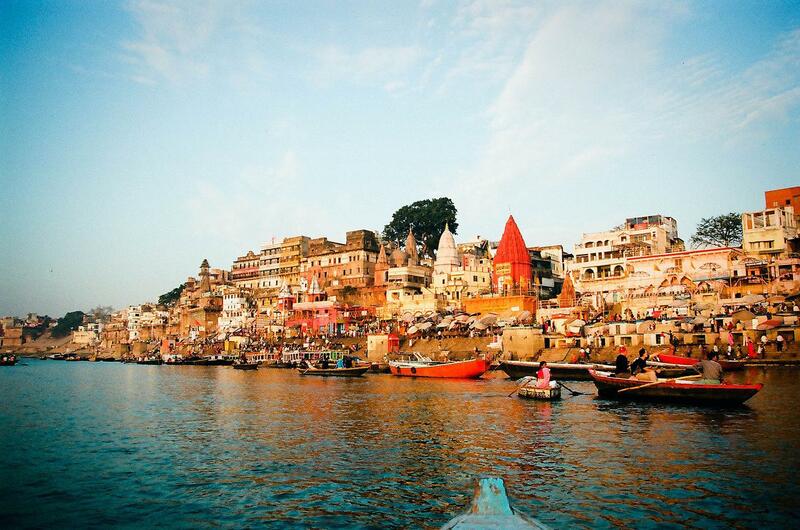 Pictured: The Ganges River in Varanasi, India where Hindus perform funeral rites. What other Hindu funeral customs should I be aware of? Funeral Attire. Family, friends of the bereaved, and guests of the funeral will typically wear simple and casual white clothes. It is expected to dress casually, although if you are uncertain you are encouraged to ask the family of the deceased before attending the funeral. Funeral Hymns. It is common to hear and sing Hindu funeral hymns at a funeral. Funeral Services. Hindu families may choose to celebrate the life of a loved one on the twelfth or thirteenth day after the funeral, which may be accompanied by a banquet which also serves to honor the soul's journey.